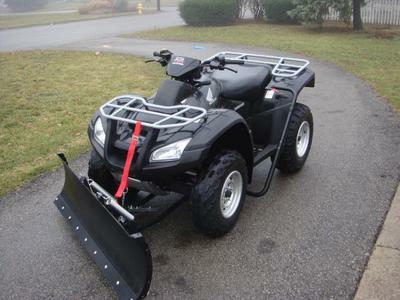 I have a 2005 Honda Rincon 4WD TRX 650 with a snow plow for sale that is in great used condition and comes with the snow plow. 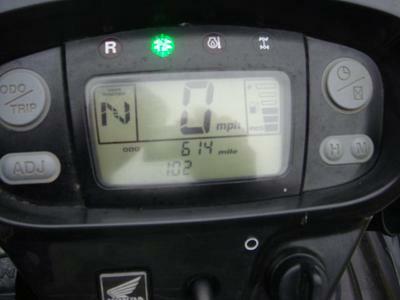 The quad has only 610 miles on it, the tires are new and it has undergone a recent maintenance service. All of the options on the Rincon work great and I have a clear title in hand. The manually operated plow has been used for two seasons and is easy to use. 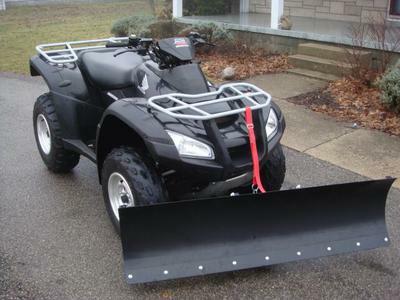 The ATV comes with the tool kit, tire pressure gauge and all operator manuals with delivery included. If you have any questions regarding the used Honda ATV for sale or the plow or if you would like to make an appointment to see it in person or make payment and pick up you can do so using the space below that has been provided by GoGoCycles Used Motorcycles for Sale and PLEASE do not neglect to include your contact information in your email or to provide a phone number or email address so that I can respond with answers to your questions or set up an appointment as quickly as possible. In my opinion there is not a better deal on a used Honda for sale as this one in Chicago, IL, Illinois USA, on Craigslist or on Ebay! 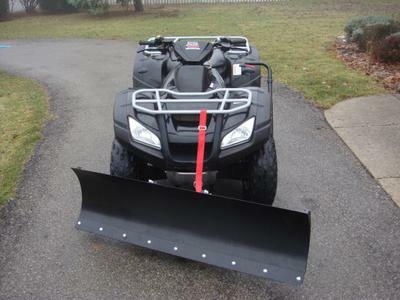 We invite our visitors to write a review of the 2005 Honda Rincon 4WD TRX 650 with Snow Plow or share any thoughts and/or opinions to make potential buyers aware of any problems that are commonly associated with this quad or to highlight its positive features and help our visitors make informed decisions. Email before the Rincon is gone and don't forget to mention that you found this ad on GoGoCycles Motorcycle Classifieds www.gogocycles.com using the comments forms located on this page. How much are you looking for and how close to Chicago are you ? Is it electic start and can u call me ? Is the Honda still for sale and how much? How much are you asking and how far from Chicago are you willing to deliver?